Recently I helped pull together this infinity mirror LED podium for the Zebbler Encanti Experience. 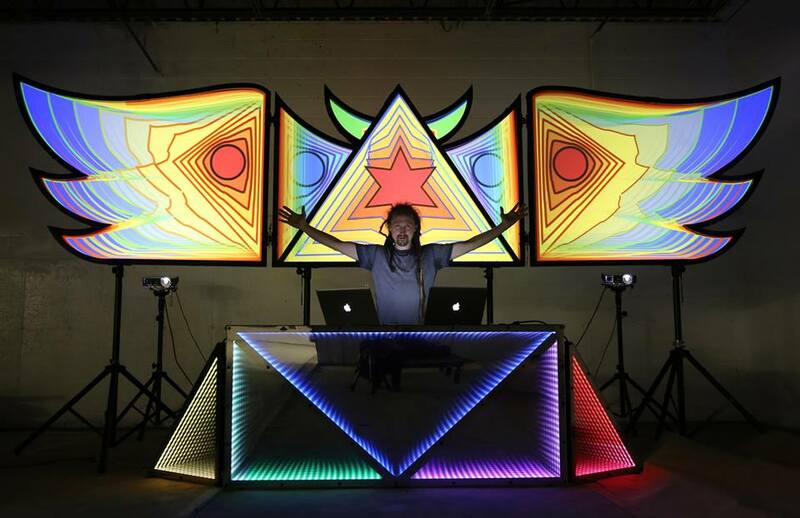 This performance podium uses the Pixel Pusher micro-controller, to communicate between Resolume Arena and 5 strips of individually-addressable LEDs via the Syphon graphics framework and Processing. My responsibility on this project included the coding, and consultation of the infinite mirror structure. You can look for this design on tour starting July 12 through August 22, including a Burning Man performance on August 14.